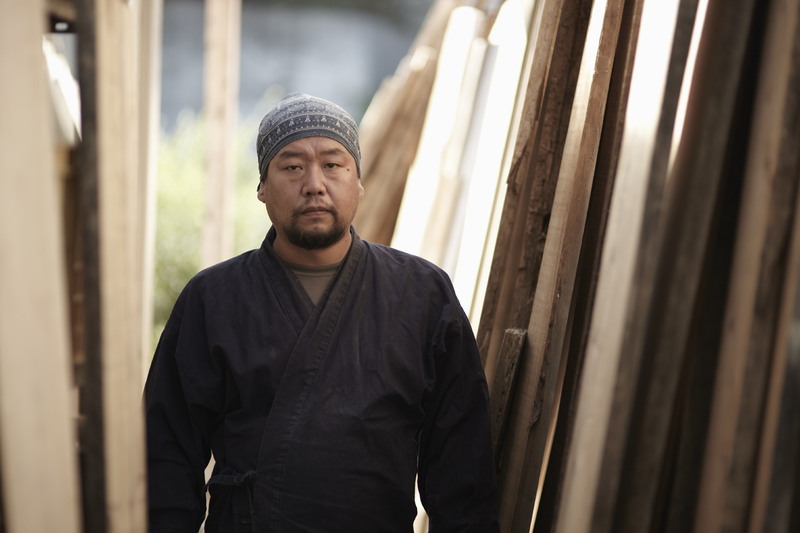 Shuji Nakagawa works with wood using Japanese traditional wooden techniques, trying to get to know the wood, that always surprises him. A work taking care of the wood and at the same time of the design of each piece, as an art work!. You make really delicate work with wood, how did you begin? 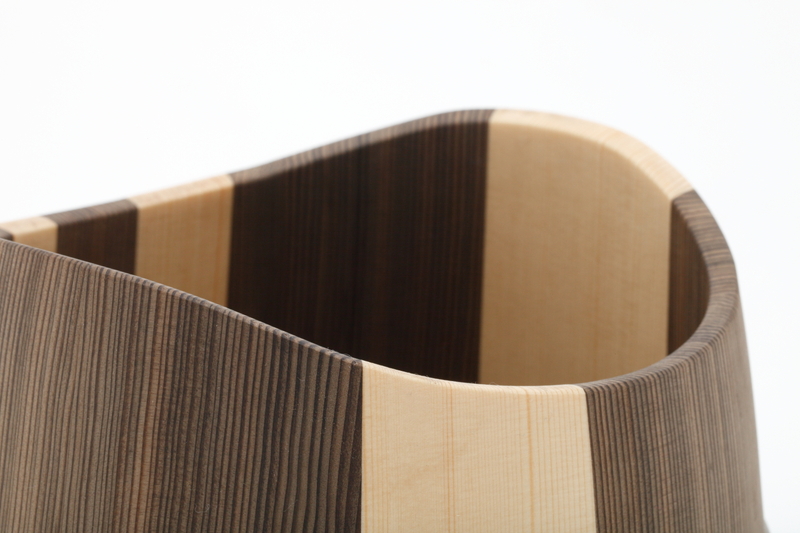 I am from the third generation of Japanese traditional wooden bucket makers. I learned all techniques there and started my own studio. 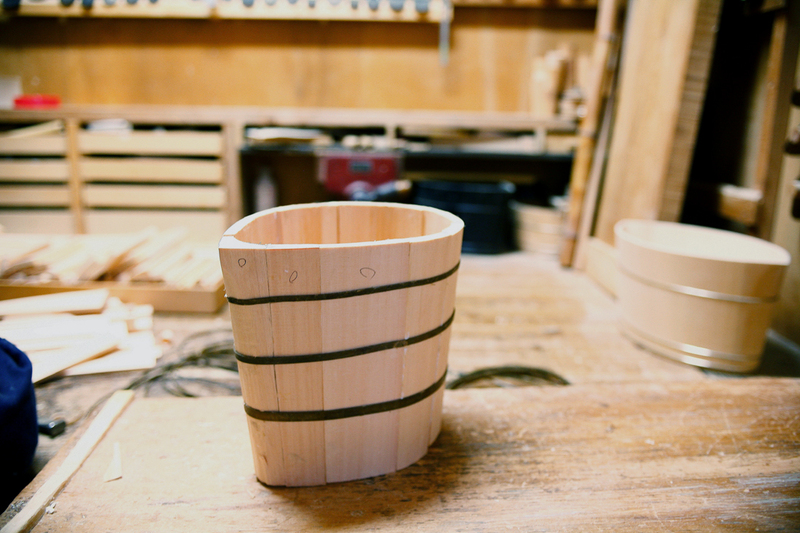 I have learned from my father and my grandfather how to make wooden buckets. When you were a child, did you imagine yourself working on this? I imagined that probably I would be. 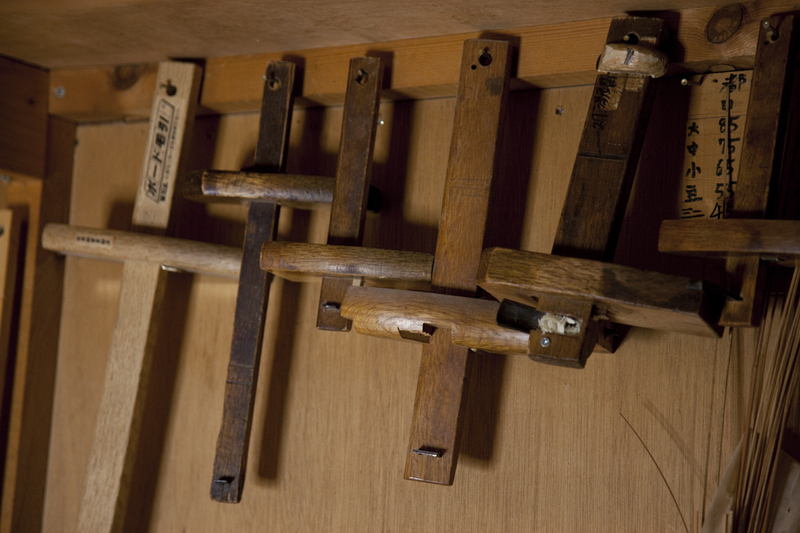 A Japanese craftsmen’s studio is also a residence for the family and the house I was raised in was just like that. 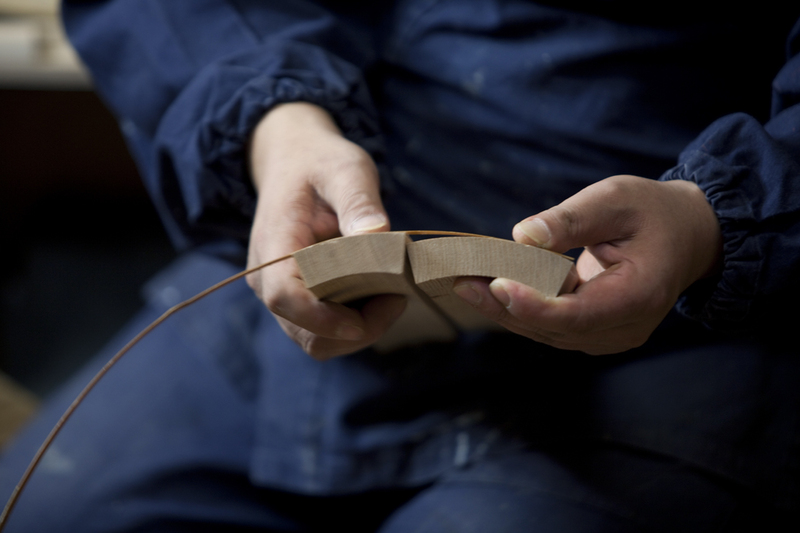 I grew up watching my father and grandfather working on wooden buckets and my toys were wooden chips and shavings. Growing up in an environment like that, I thought of myself as being a craftsman as well, naturally. What is the process to make a piece, from the beginning until it is ready to be sold? First of all, I have to dry the wood. It takes 2 or 3 years. Then slice a log in rounds. Cut them in pieces by using a rounded machete. Then dry those pieces for a few months in the sun, rain and wind. By doing that, the greases and scums of the wood come out, then I finally have a beautiful wooden surface. I repeatedly whittle the completely dried wood by using a tool called SEN (a blade with handles to cut roughly), to arrange shapes. 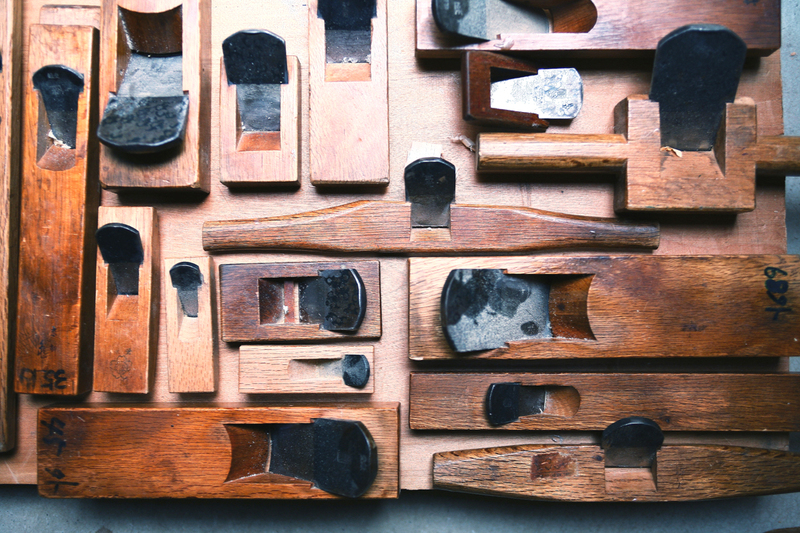 I have more than 200 types of tools at my studio. 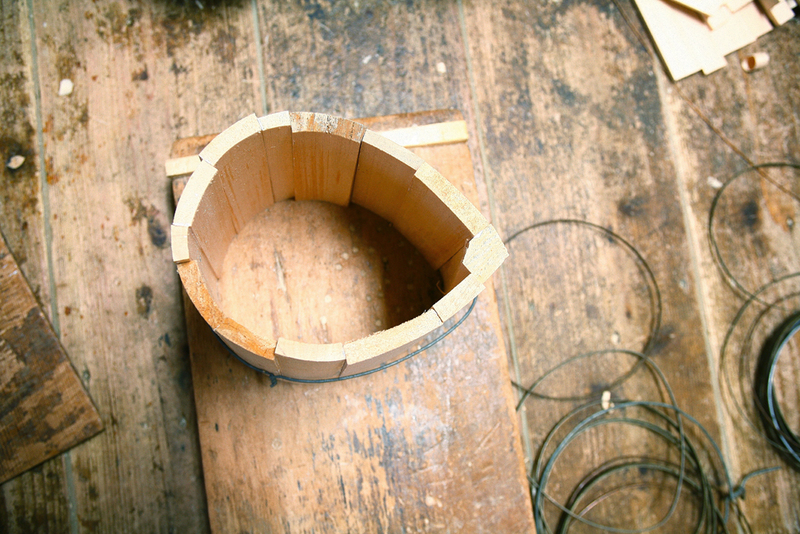 I make various shapes of wooden buckets using those tools. From a small sake cup (5 cm) to 2 meters long bath tub. By using a tool called TAGA (hoop tighter), I tighten the wooden parts by using a ring made of metal or bamboo, to shape the wood into the bucket. Whittling the surface of the wood again then putting on the bottom part. Many Japanese style hotels and restaurants use my buckets for special occasions like parties and celebrations. Can you make a living working with wood? You cannot make a fortune making wooden buckets but it is wonderful to be able to make wooden crafts. Wood is natural and there is absolutely no wood which is the same, it is rounded sometimes and has unique lines drawn on the surface. It is a challenging job but I also think it is worthwhile. Wood can tell us so many things. It talks about nature, techniques and philosophy. I have learned so much from wood and I am still learning. Do you have an ideal project that you would like to develop? 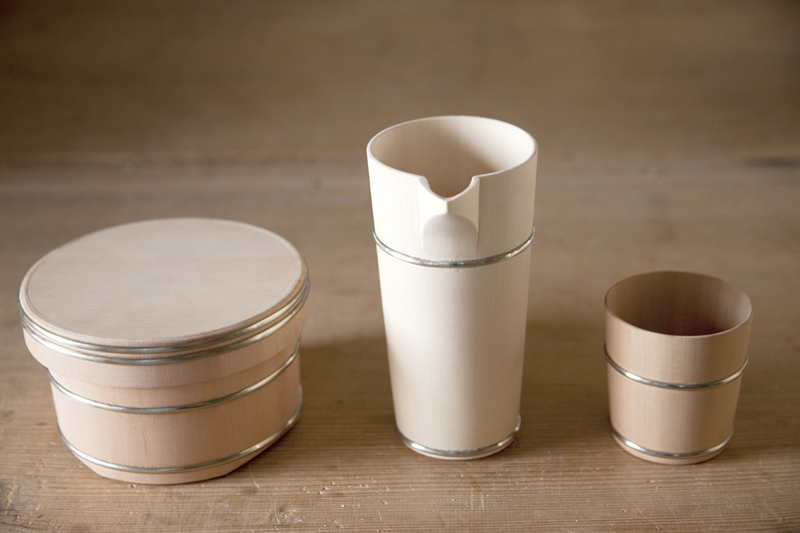 I would like to challenge the versatility of wood, to link my products to architecture. The most difficult thing: to know about all types of wood. I have worked over 25 years as a craftsman but I have such little knowledge about it. Wood is difficult. I like finding new things. Wood’s capability and function, new designs and techniques. Any advice to give to young people? It is so much fun to make things using your own hands. It will reflect you as a human. Is there anything you regret about making?